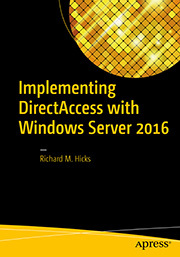 administration | Richard M. Hicks Consulting, Inc.
From a client perspective, DirectAccess is an IPv6 only solution. All communication between the DirectAccess client and server takes place exclusively over IPv6. This can make things challenging for network engineers tasked with administering network devices using SSH over a DirectAccess connection. Often network devices don’t have corresponding hostname entries in DNS, and attempting to connect directly to an IPv4 address over a DirectAccess connection will fail. To resolve this issue, it is necessary to create internal DNS records that resolve to IPv4 addresses for each network device. With that, the DNS64 service on the DirectAccess server will create an IPv6 address for the DirectAccess client to use. The NAT64 service will then translate this IPv6 address to IPv4 and connectivity will be established. However, for many large organizations this might not be feasible. You may have hundreds or thousands of devices on your network to administer, and creating records in DNS for all these devices will take some time. As a temporary workaround, it is possible to determine the NAT64 IPv6 address for any network device and use that for remote network administration. The process is simple. 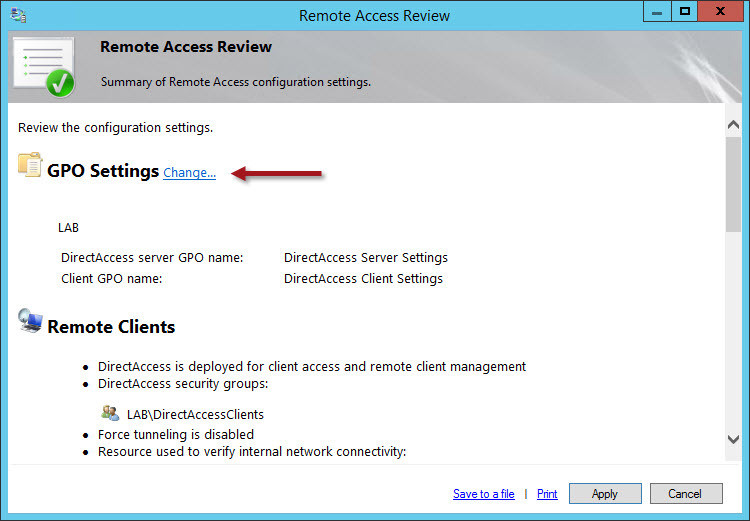 On a client that is connected remotely via DirectAccess, resolve the name of a known internal server to an IP address. The quickest and easiest way to do that is simply to ping an internal server by its hostname and note the IPv6 address it resolves to. Enter this IPv6 address in whichever tool you use to manage your network devices and it should work. Here’s an example using the popular Putty tool connecting via SSH to a network device in my lab. Figure 2 – Successful connection over DirectAccess with Putty. Going forward I would strongly recommend that you make it part of your normal production implementation process and procedures to create DNS records for all network devices. In the future you’ll absolutely have to do this for IPv6, so now is a good time to get in the habit of doing this. It will make your life a lot easier, trust me! Please note that adding entries to the local HOSTS file of a DirectAccess client does not work! 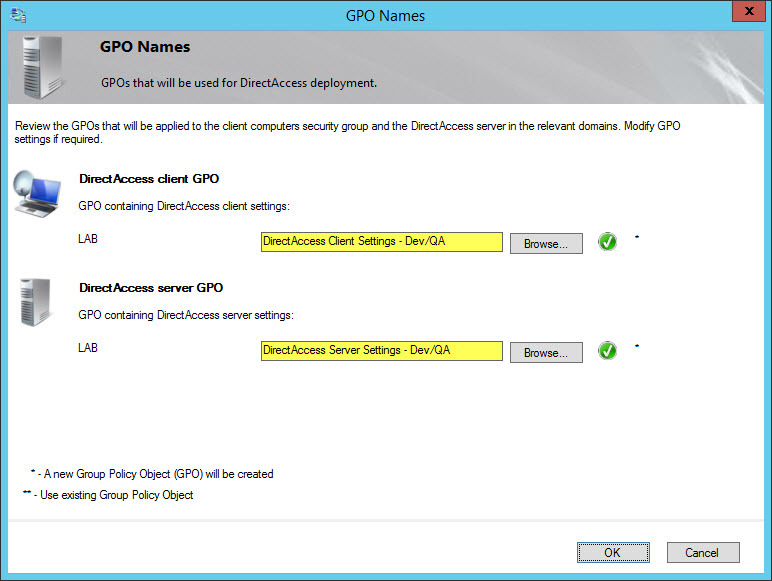 The name must be resolved by the DNS64 service on the DirectAccess server in order to work properly. 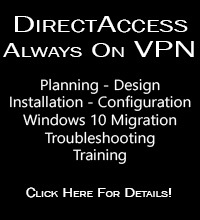 Although you could populate the local HOSTS file with names and IPv6 addresses using the method I described above, it would cause problems when the client was on the internal network or connected remotely using traditional client-based VPN, so it is best to avoid using the HOSTS file altogether. Name resolution and proper DNS server configuration is vital to the functionality of DirectAccess. When performing initial configuration of DirectAccess, or making changes to the DNS server configuration after initial configuration, you may notice the operations status for DNS indicates Critical, and that the operations state shows Server responsiveness. 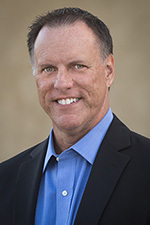 client connectivity to corporate resources. There are a number of things that can contribute to this problem, but a common cause is an error made when assigning a DNS server to a specific DNS suffix. An inexperienced DirectAccess administrator might specify the IPv4 address of an internal corporate DNS server, which is incorrect. The DNS server IPv4 address should be the address assigned to the DirectAccess server’s internal network interface. The best way to ensure that the DNS server is configured correctly for DirectAccess is to delete the existing entry and then click Detect. An IPv6 address will be added automatically. This is the IPv6 address of the DNS64 service running on the DirectAccess server, which is how the DNS server should be configured for proper DirectAccess operation. Once the changes have been saved and applied, the DNS server should once again respond and the status should return to Working.